What to wear or not to wear? That is the question on most FOTF enthusiasts at this time of year. Spring/Summer racing carnival has come to an end. The month of March can be a difficult one for dressing for FOTF. Technically it's autumn but the weather is still quite warm. So what does one wear during the month of March for FOTF? Well, let me try and reduce your fashion anxiety and last minute panics and outfit changes (we've all been there, I'm sure). Not all race clubs adhere to this transeasonal code, so I suggest you contact the race club directly and find out if they are sticking to a seasonal FOTF racewear code. You might also be able to see if the race club has released any information in regards to criteria. Usually race clubs advertise their major race days on their Facebook page or local paper. Failing that if you can't find out anything, play it safe and go transeasonal. I recently began planning an outfit for early March. Typically is still quite warm here in Canberra and NSW during March, so it's a bit of a conundrum as to what is appropriate to wear. Luckily the race club I was attending advertised the fact that they were looking for autumn but weather appropriate outfits. Firstly, I decided to start with a leather headpiece. 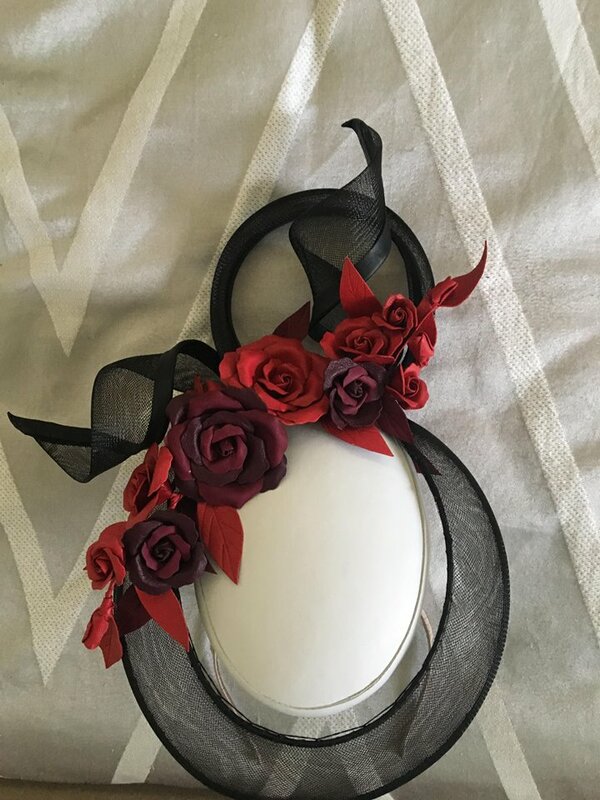 I had this gorgeous piece from Allport Millinery that I was desperate to wear. The colours were red, black and white which I felt were autumn appropriate colours. Sophie from Allport Millinery nailed this design!!! Next, I decided to pair it with a ruffled skirt I had worn previously at a summer race meet. Given the colours were reds, oranges and white, it reminded me of autumn leaves and who doesn't like a good ruffle! I already had red closed toe pumps (purchased from Big W - super comfy by the way) and orange half palm gloves. I was going to wear this lovely red lace top with long sleeves, but weather predictions had the temperature in the high 20’s, and this was a picnic race meet. Paired with a black leather belt, red leather bag and black earrings from Best Dressed Accessories, I felt that the transeasonal look was coming together nicely. Thankfully, Bethany from Best Dressed Accessories came to my rescue with a lovely white top with the most amazing sleeve detail, which is still on trend at the moment. To finish the look I added a red flower brooch from Best Dressed Accessories which matched nicely with my flower theme in the headpiece and skirt. And here is the final result. 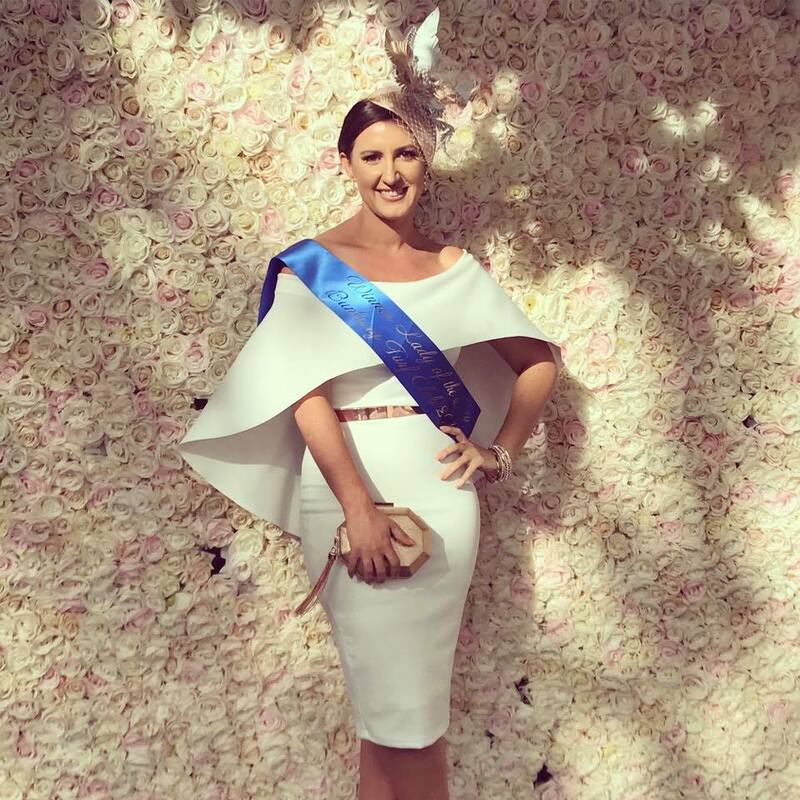 A head to toe transeasonal outfit for Fashions on the Field. Most items I already had in my wardrobe, though I am a bit of a shoe and glove addict! Congratulations on your first blog Sally!!!! !